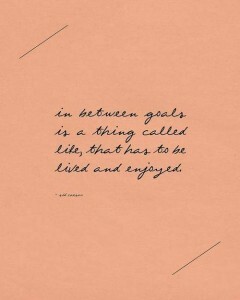 Maybe it’s because I’m a first-born or just really Type A, but I’m a goal-setter, an achiever. I don’t mean that in a “look at me” kind of way. It just is. It’s who I am. So, for me, a new challenge, a new goal is exciting. It becomes a driving force to keep me going. It’s what I might consider the big moments in life that I get really excited about. I think back to being fifteen and counting the days until I turned sixteen. I could get a driver’s license and a job. It would mark a moment when I was one step closer to adulthood. If you knew me as a fifteen year old, you would know this wait was serious business. Even on the chalkboard in my 10th grade english class, the teacher allowed me to write a countdown to April 13, the day I would gain new freedom. It seemed it would never come. But, it did and the wait shifted to the end of high school and a new season and journey into college. 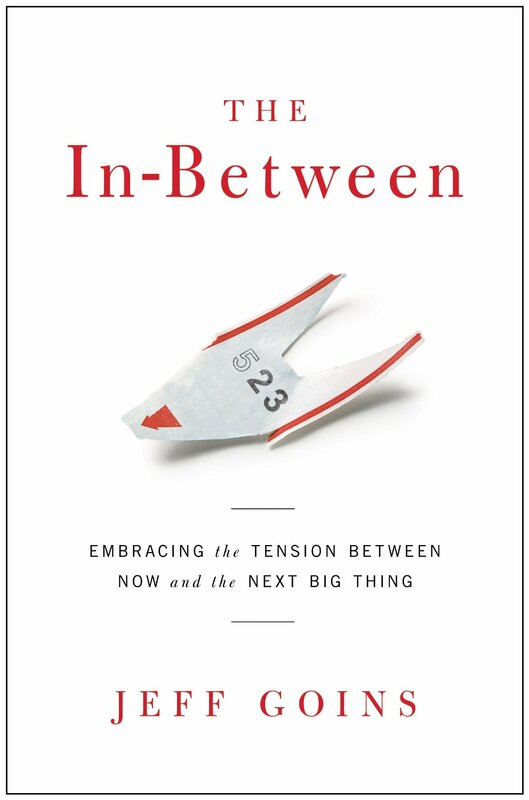 Recently, I picked up a book by Jeff Goins entitled The In-Between–Embracing the Tension Between Now and the Next Big Thing. Truthfully, it probably wouldn’t have been a book I would have picked up had I not started reading articles and blogs by Jeff Goins. I am drawn to his style of writing. There is something about him that makes me curious. So, I picked up The In-Between. And by “pick up”, I mean I listened to it on audio before actually purchasing a hard copy. (That was a fun experience because Jeff actually reads the book, himself. I won’t be able to read anything else by Jeff Goins without hearing his voice in my head.) As I listened to his stories, the lessons he had learned, I knew God was speaking to me. I love the way Jeff uses the word “tension” in the subtitle of his book to describe the times when I’m sitting in the carpool line or volunteering in my child’s school cafeteria. The moments when I’m sitting through staff meeting or folding a load of laundry is often marked with tension. I’m ready to get though it and move on. I’ve discovered that attitude is risky, for there is much to be missed if I don’t stop and examine the moment. Question: What “in-betweens” make you crazy? What have you learned through some of the “in-betweens” of your life? What are you waiting on and what could RIGHT NOW be teaching you? 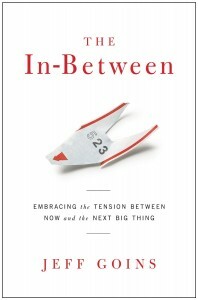 I’m excited to be giving away a copy of Jeff Goins book, The In-Between. Comment on this post and be entered in the drawing. 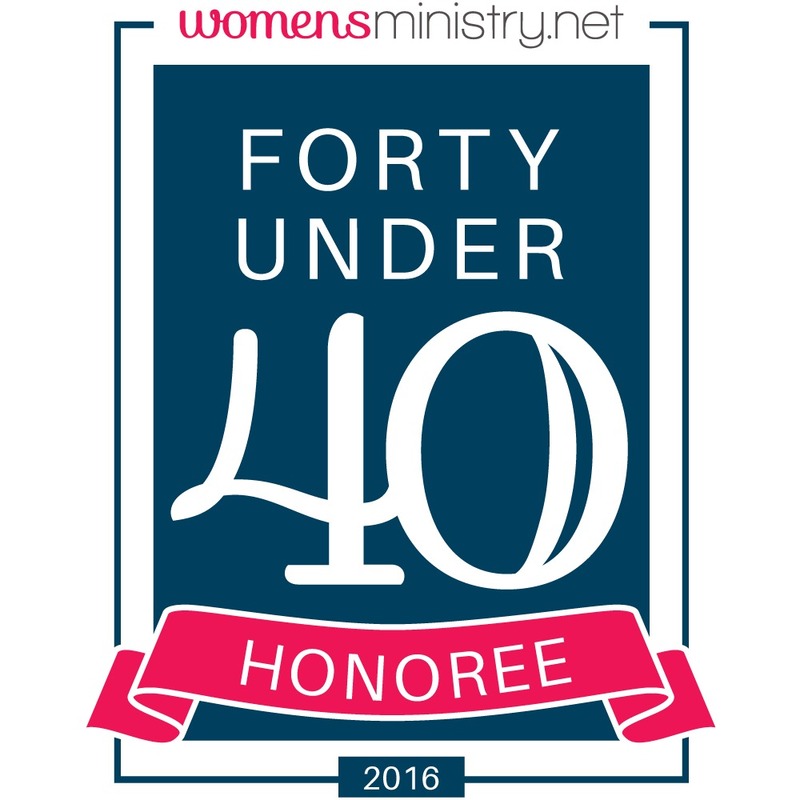 Congratulations to Julie Kelton! Winner of The In-Between! next thing rather than living in the moment and taking time to look around. Julie, I do think there are many of us that have this same need. I read once that it is often about control. I don’t have control of the present moment, but I can try to grasp control of the future. Bobi Ann, This really spoke to me. I saw myself in a lot of what you were saying. But this reply hit the nail on the head!!! That explains it all!! You could say that it is a “positive attitude” that leads us to feeling the “future” will always have bigger possibilities than our present moments; BUT present moments are really all that we have. Planning, looking ahead, being prepared – all good things (as Martha says), but finding the beauty in waiting in a line or folding the ump-teenth basket of laundry and just BEING…is a greater thing. Cora, I often want to poke my eyes out as I sit in the carpool line to pick up Kati Ann at Farley. It just moves so slow even if you get there early or late, you’re in line for 20 minutes. However, I’m trying to readjust my perspective. There will be a day when I’ll drive by Farley elementary and see those cars lined up and miss having a school-age child there. I also have come to enjoy the quiet in the car if I let myself recognize that’s what I’ve got! This post was a great start to my day! A great reminder – don’t get caught up in the “important stuff” to miss the “GREAT stuff!” WOW – thanks for sharing! Today, I want to choose the “GREAT stuff” – PEOPLE!! Annita, as a task-oriented person more than a people-oriented person, that is always the challenge. I feel more accomplished when I check something off the list but I’m with you. I don’t want to miss one thing, one person. Love this. I needed to hear this today! As always, thank you for sharing your words of wisdom! Sweet Jess, you make me smile. I feel like I relate to you so much. Hang in there. One day, you’ll look back and know that your right now was a big thing! I totally relate to this post! I am curious about the book. It is such a great book. Easy read and one of those that I didn’t want to put down because I wanted to know what was going to happen. Looks like a great book. How wonderful to help my girls see the importance of this now! Amy, Your girls would love the book. Easy to read and great stories! Mine was an in-between stage of life, that I expected to be “normal” and ended up being just about endless: singleness. When you grow up to expect adulthood to mean marriage and children, it’s hard to feel like you’ve arrived as a grown up when you have neither. Even with multiple graduate degrees (if I’m honest, gotten to fill the time while waiting for my “real” life to begin), and my own house, it was hard to feel like I was an adult. Plus, there’s a lot of tension in waiting for something like marriage – tension between fixing the things you can control that might be hurting your chances of finding a relationship (unless you marry the UPS man, you probably need to get out of your house, for example), and realizing that a lot of it is outside of your control. Not to mention the tension of having to listen to married people offer their sometimes awful (especially if couched in “Christianese”) advice or thoughts on why you might still be single!!! 🙂 In fact, one of the greatest benefits of being married is not having to listen to the awful things people say to singles at times (with good intentions, no doubt)! I think no matter what our “thing” is…it is hard to not think of the future and wish for the next thing. Thanks for your comment, Liz. 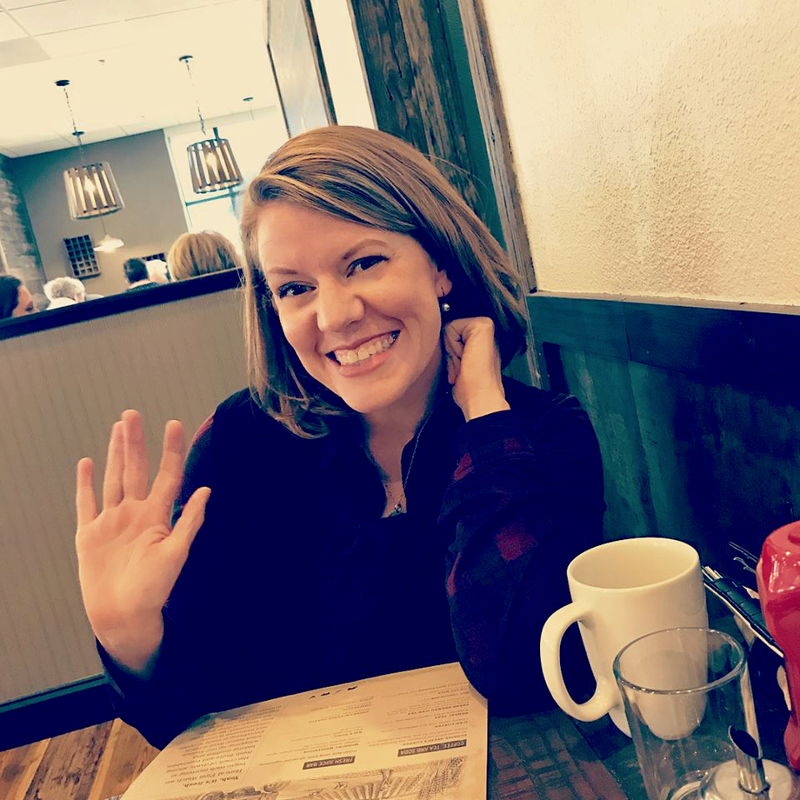 I feel this blog post is so encouraging and uplifting! This is one of the hardest things to do and you expressed it so perfectly! I don’t want to miss all the small things, because they truly are the big things! I would love to win a copy of this book! Thank you for sharing this post with us! May God Bless You! Thank you for all that you do to bring others closer to Christ and all that you do for our community and church! Stephanie, I’m glad it was an encouragement to you. Our lives are so cluttered sometimes it is so easy to miss the small things that we can’t get back. It is such a joy to serve in our community and church. Thanks for your kind words. The Next Big thing in my life was not what I was striving for or looking forward to, but life doesn’t always give you what you want. 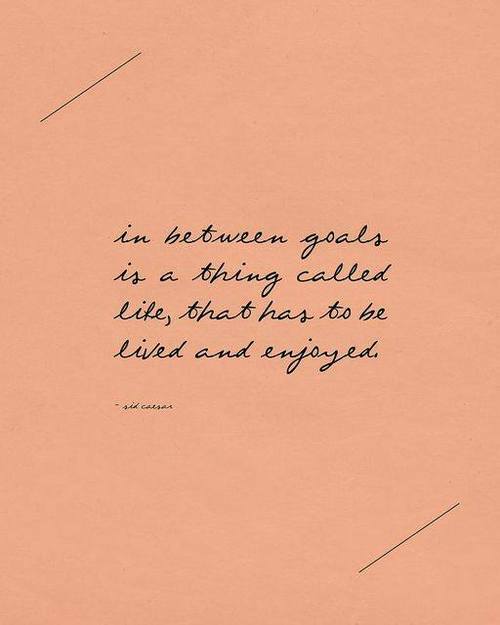 I am a person that is always looking to the next goal, next accomplishment, next trip, etc. God gave me a situation that just made have to learn to invest in today. I could not go on trips. I could not attend the next meeting. I could not commit to anything including Bible study. I have learned to sit and sip on a cup of tea and listen. I have learned to smile at the little steps that we take each day. I have learned that failing is part of success. I have learned to trust God in the unknowns (unknowns are really hard). Ha! All I can say (humbly of course ;)) is “Great minds think alike! Great Post Bobi! I feel the same way! BobiAnn, this is SO spot on! Our sweet 86 year old neighbor called last evening to make sure we didn’t miss the gorgeous harvest moon… She fills her life with love for Jesus that spills over to those of us who are blessed to know her. I never knew my biological grandmothers, but wonderful godly women like Mrs. Clara have shared unspeakable joys with me through the years! I love that Mrs. Joy. Thanks! Being in-between writing songs drives me nuts! That is when the fear starts to kick in. This is the first post of yours I have read and let me tell you I’ll be back! ! I’m really glad to see there are others out there also facing the inbetween issues. Thanks for sharing and reminding us of the importance of being present in the moment. To celebrating a life well lived!! Nadine, You just made my day! Thanks so much for the encouragement! If you read back to older posts, you’ll see there is a bit of a theme with this “in-between” business in my writing. I was just looking this morning and thought…”I need a new topic!” Anyway, really, thanks for your encouragement! Can’t wait to have you back!